Today on the Doc On The Run podcast were talking about what to do if your shin splints won’t go away. If you’re a runner, the chances are good at some point in your running career you have had an aching, throbbing sensation in the front of your shins. And chances are also good if you talk to your running buddies they would quickly explain to you that you have a case of shin splints. Shin splints may be common, but they can also be confusing. Many years ago when I was in my foot and ankle surgery residency training, I was on an orthopedic surgery rotation. Specifically I was working with a foot and ankle orthopedic surgeon. Not only was he a highly qualified foot and ankle surgeon, he was also a runner. While I was on that rotation I was preparing a lecture for the surgical department. The lecture was on common running injuries. In preparation for that talk I read virtually everything I could find on running injuries. I looked up and researched all of the studies published in medical journals on running injuries. One thing quickly became apparent. Many physicians seem to disagree about the exact cause of shin splints. In fact, many of them even argued about the name. So one day in clinic I actually asked this orthopedic surgeon runner a question. Now, you have to remember this guy was also a marathon runner. And, by the way he is one of the best surgeons I have ever worked with. If you happen to be in Utah and you need knee surgery, I wouldn’t hesitate to let this guy operate on you. And, again, he is also a runner. But his answer simply highlights the fact there is so much confusion around shin splints. In this episode we are going try to eliminate some confusion so you can know what to do if you get a case shin splints that doesn’t seem to go away. As I have said in many other episodes, you have to know what you are treating, before you can treat it correctly. If your doctor has misdiagnosed your condition, or if you have misdiagnosed yourself, you may be using the “right treatment” on the “wrong problem.” Of course if you do that, it’s unlikely you will improve. 1 . Figure out what’s causing your shin splints. 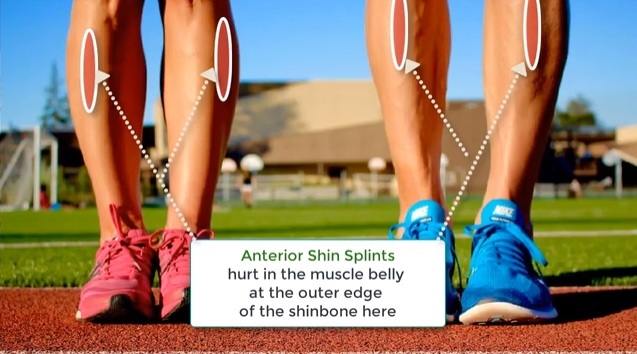 There are three main conditions affecting runners which can be labeled “shin splints.” And your very first task is to determine which one is causing pain when you run. Those three conditions are anterior shin splints, medial tibial stress syndrome, and tibial stress fracture. There is a fourth, far less common condition called exertional compartment syndrome. We’ll talk about that one later. But first, let’s discuss the three most likely to affect you as a runner. When doctors say you have “anterior shin splints” it basically means that you have pain in the front of the leg. What that really means is that the tibialis anterior muscle is inflamed. Anterior is the medical term meaning front. The medical term for shin is tibia. There is a large muscle on the front of your leg just to the outside, or lateral to, the sharp edge of the tibia bone. That muscle is called the tibialis anterior muscle, because it is on the front, or anterior aspect, of your tibia. The main function of the tibialis anterior muscle is to pull your foot upward away from the ground. It helps you pull your toes toward your nose. The medical term for that movement is dorsiflexion. The tibialis anterior muscle is the primary dorsiflexor of your foot. You have to dorsiflex your foot every time your foot swings forward underneath you during the swing phase of gate. When you run, if you don’t dorsiflex your foot, you’ll trip over your toes and fall flat on your face. If you run on flat ground you need somewhere between 5° and 10° of dorsiflexion to avoid tripping over your toes. If you run uphill, you have to dorsiflex your foot more so you don’t trip over your toes. For example, let’s just say you need 10° of dorsiflexion when you run on flat ground. If you run up a 10° slope when doing hill repeats you need 20° of dorsiflexion to avoid tripping over your toes. 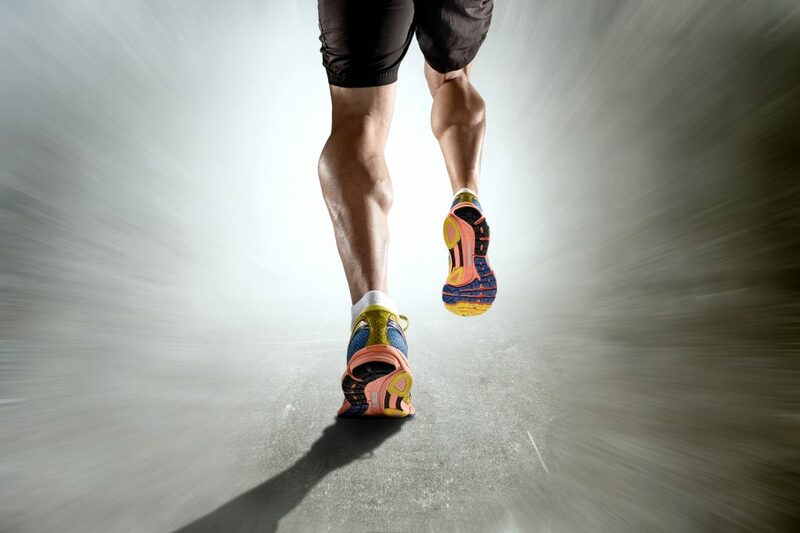 Anterior shin splints are basically caused by overuse of the tibialis anterior muscle. In the overwhelming majority of cases that overuse is simply from running on hilly courses, doing hill repeats or running stairs. 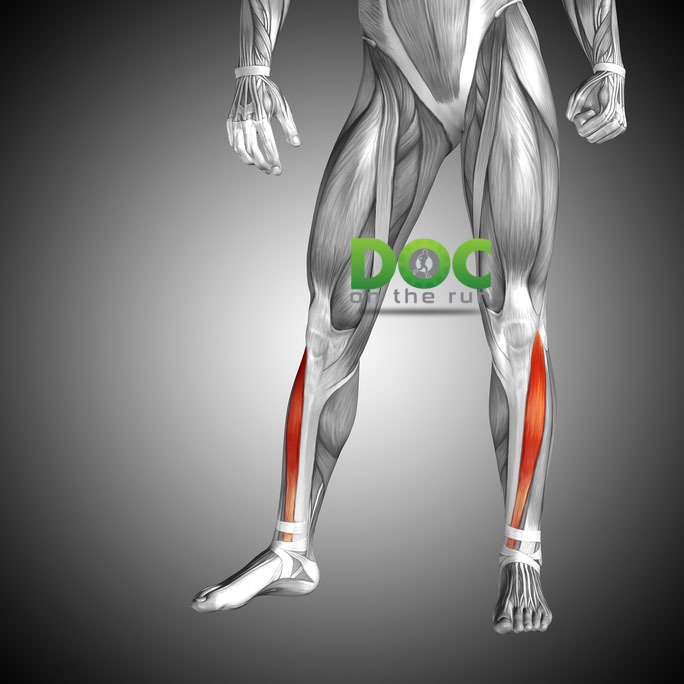 The Tibialis Anterior muscle (shown in red) is what becomes inflamed with “anterior shin splints. Anterior shin splints are fairly easy to diagnose. If your story seems to fit with a case of anterior shin splints, meaning you have been recently doing lots of hill work, running stairs or doing hill repeats, then it seems probable you could have excess soreness in the tibialis anterior muscle. If the doctor hears a story consistent with developing anterior shin splints, the doctor will then simply palpate or push on the tibialis anterior muscle belly at the front of your leg to see if it is tender. The tibialis anterior muscle is easy to find. 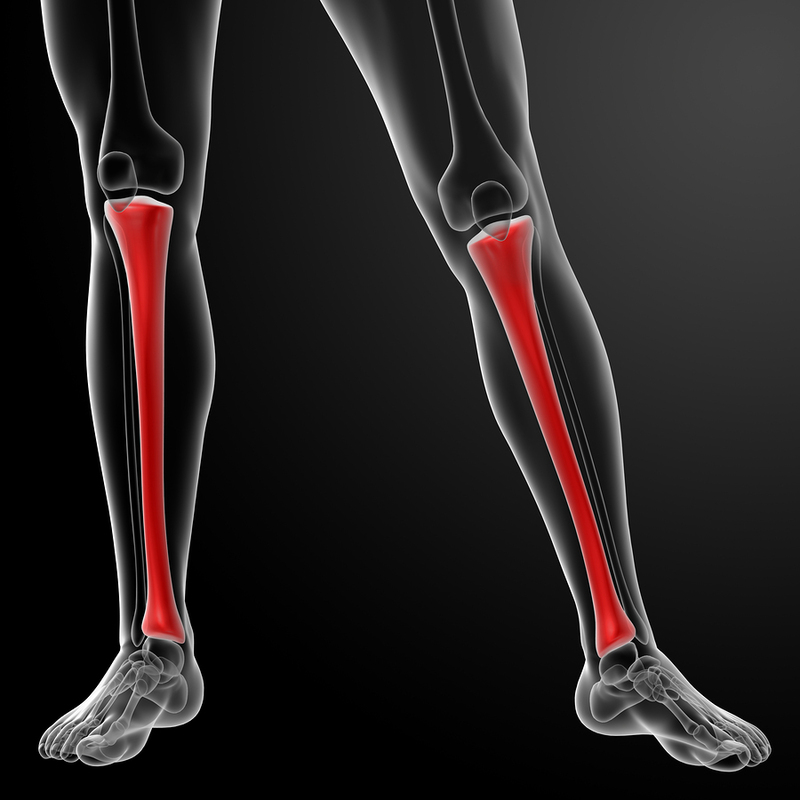 If you feel the front of your leg, you will feel the hard flat tibia bone on the inside of the front of your leg. If you push your fingers deeply into that bone as you move forward toward the very front of the shin, you will notice there is a sharp edge to the bone in the middle of your leg. 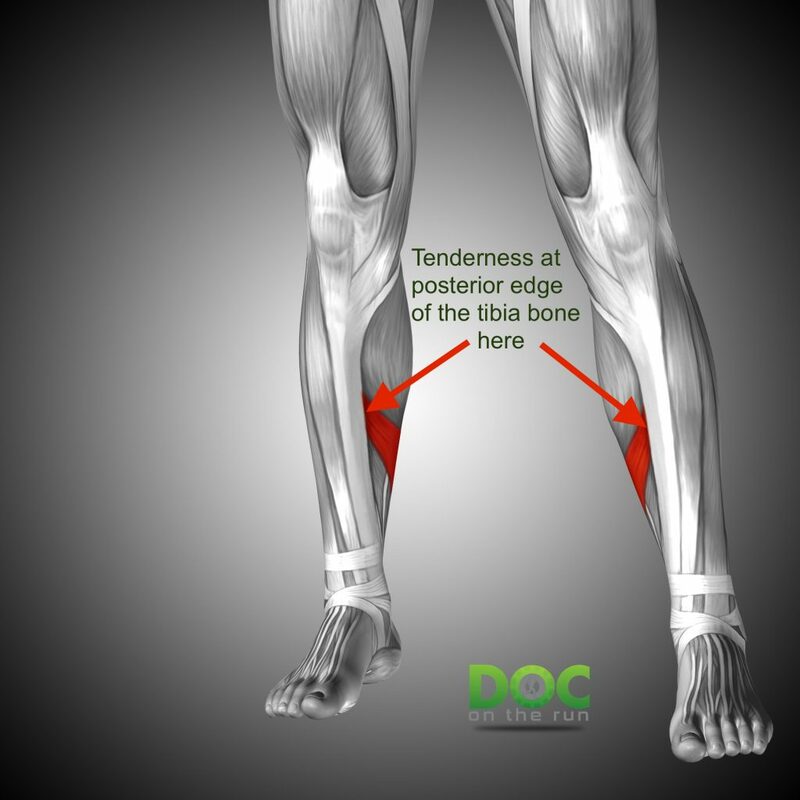 If you start in the middle of your leg and you find that sharp edge and then push laterally, toward the outside of the front of the leg, where the bone drops away, you will feel the tibialis anterior muscle belly. The muscle goes from the middle of the leg upward toward your knee. It is also easy to confirm whether or not your fingers are on the correct muscle. All you have to do is move your foot up and down so that your toes are moving up away from the floor, you will feel the muscle tibialis anterior muscle belly flex and tighten up as you move your foot up-and down away from the floor. If you have anterior shin splints, it will be tender when you palpate, push your fingers into or otherwise massage the tibialis anterior muscle. If it’s not tender when you palpate the tibialis anterior muscle belly it is unlikely that you have anterior shin splints. Medial Tibial Stress Syndrome is tender right where the muscle (shown in red) attached to the posterior edge of the tibia bone (indicated by arrows). Medial tibial stress syndrome is likely the most common cause of shin splints that don’t get better. It can be painful. It can also be incredibly annoying. Medial tibial stress syndrome can also really interfere with your training simply because it aches and throbs when you are running. Medial is the medical term for “inside.” Technically, medial means toward the midline of the body. It is the opposite of lateral. Lateral means away from the midline of the body. Medial tibial stress syndrome is also relatively easy to diagnose. If your doctor hears your story and you express that you have aching throbbing pain when you run, particularly if it seems to get worse as you increase your running volume, the first thought is likely medial tibial stress syndrome. Your doctor will then simply palpate, by pushing her fingers along the medial edge of the central one third of your tibia, or shinbone. The only difference in the starting location, where your doctor pushes on the leg is that with anterior shin splints you work your way forward, until your fingers drop off the front of that sharp leading edge of the tibia. With medial tibial stress syndrome, instead of moving your fingers foreword, you start with the flat portion of the shinbone and move your fingers toward the back, posteriorly toward the calf muscle. You then press your fingers into the soft tissue where your fingers drop away from the back of the tibia bone. If there is pain and tenderness when you push your fingers into the soft tissue at the posterior aspect of the middle one third of the tibia, you get a diagnosis of medial tibial stress syndrome. Tibial stress fracture is less common, but it certainly does happen. It is much more likely to happen in a new runner who is just begun running and signed up for a marathon training program. It is also common in short course runners who transition to marathons or ultramarathons. The increase in distance can be compounded by running most of those miles on hard surfaces such as concrete or asphalt. Tibia or shin bones (shown in red). The tibial stress fracture is, understandably a fearsome diagnosis. One of my friends was actually telling me a story of his buddy who developed a tibial stress fracture while training for his first marathon. But, like most endurance athletes, he had a high pain threshold. He actually thought he had run-of-the-mill shin splints. But he was tough, so he kept up this training. Not surprisingly, it became more and more painful over time. Yet he was determined to run the marathon. Supposedly, there is a video clip of this guy running down the finish chute. About 100 feet from the finish line, his tibia actually buckles and folds as it snaps in half. So in that case, he made it through most of the marathon, but his tibial stress fracture actually turned into a true pathologic fracture, or a broken leg, just before he got his T-shirt and his metal. These sort of stories are the ones that strike fear in the runners who develop cases of shin splints. No runner wants to break a leg. No runner wants to train for months and then have to abandon their goal race within days or weeks of the finish line. But if you ignore a tibial stress fracture that is precisely what might happen. A tibial stress fracture would typically become worse and more and more painful. If you ignore that pain and all the warning signs, you do so at your peril. Making the diagnosis of a tibial stress fracture typically involves confirming a story that fits with tibial stress fractures. 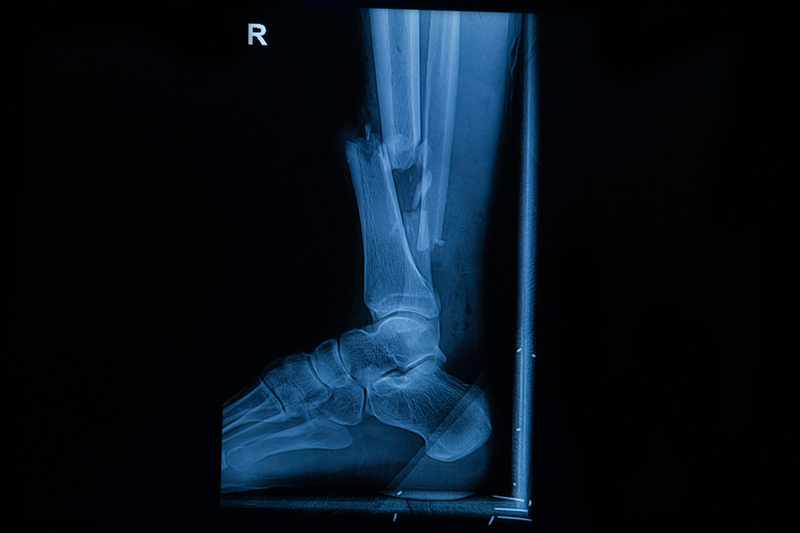 If you tell your doctor you have been increasing your mileage considerably and you started having aching throbbing pain in the shin, your doctor may become suspicious of a stress fracture. If your doctor is suspicious you have a tibial stress fracture, she will push on the tibia bone. If you have pin-point tenderness (meaning it hurts in one small spot) when you press on the tibia bone, and you don’t have any tenderness when you press on the soft tissue, it’s much more likely you have developed a tibial stress fracture. If you have been doing the majority of your running on asphalt or concrete, your doctor will probably become even more suspicious of a tibial stress fracture. One day I got a call from a runner who had been training in Mississippi. He had taken up a marathon training program. He also just started running. A marathon is an ambitious goal for anyone. But for somebody who has not been training it is an enormous goal. Embarking on a marathon training program straight off the couch is ambitious, and stressful. Your body has to undergo a lot of changes to make it to the starting line. Part of problem is that your muscular strength increases are fairly rapid. Muscles change fast. You get stronger quickly. Your aerobic fitness also begins to develop fairly quickly. Both of those develop much faster than bone density. We know bone density will improve with applied force. We know if you lift weights, or run, or do any type of impact activity, your bones will become stronger overtime. But the bones just don’t get strong as fast as your muscles. It takes time. So if you are a brand-new runner and you start training for a marathon, your bones may not be able to take the abuse. In the case of the guy from Mississippi he got a tibial stress fracture. I actually guessed which leg it was. And I guessed correctly. When you run on the road, let’s say facing traffic, you’re always running on a slope. Because the road is sloped to allow rainwater to run off of the street and toward the gutter. As you run toward the traffic, your left foot is downhill. 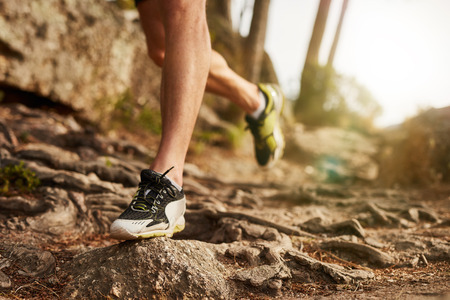 Your right foot is uphill relative to your left foot. Your right foot has to pronate to accommodate for the shorter distance between your hip and the ground. Your left foot has to supinate, and reach for the ground, because you’re falling further toward the ground on that side. Your pronated right foot is more flexible and more likely to develop plantar fasciitis, posterior tibial tendinitis and medial tibial stress syndrome. Your supinated left foot stiffens as it reaches for the ground. That stiffer foot is less capable of absorbing impact and is more likely to develop a tibial stress fracture. The point here is that your story matters. And it’s really important to remember exactly what you have done in training, how far you have been running, and what sort of surfaces you’ve been running on. You have to be able to explain all of these running variables to your doctor to make sure you get a correct diagnosis the first time. One common denominator of all three conditions is inflammation. 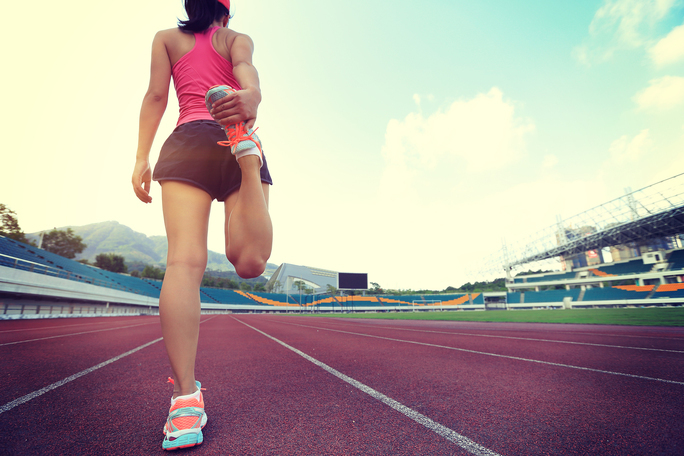 All three conditions could be thrown into the broad category of some type of shin splints. Anterior shin splints involve inflammation of the tibialis anterior muscle. Medial tibial stress syndrome involves inflammation of the tibias posterior muscle, soleus muscle or soft tissue structures at the medial/posterior aspect of the tibia (or shin bone). A tibial stress fracture involves inflammation within the tibia bone itself. So regardless of which of these three conditions is affecting you, the very first step is to reduce the inflammation. One way to reduce inflammation is to apply ice. There are a couple of things you should know about icing for shin splints. The first thing is that you can do it wrong. I can attest to this, because I have done it incorrectly myself. My mistake may go down as one of the dumbest things a runner has ever done. I was training for the Salt Lake City Marathon. I had really been working hard in training. And I was determined to get a new PR. But I develop shin splints. And when I say shin splints, what I actually had was medial tibial stress syndrome. Like most runners, I figured I could just ignore the pain. But even after I tapered for the race I still had a lot of pain in the final days leading up to the marathon. So I had the bright idea of icing the heck out of my shin the night before the race. I thought if I reduced the inflammation enough it would get it back under control and I could make it through the marathon with less pain. So I took one of those blue chemical ice packs out of my freezer. Whether you know it or not those ice packs actually get colder than ice. A lot colder than ice. They’re not water. When they freeze they can actually get significantly colder than ice cubes. I found a blue ice pack that was the perfect size to cover the central one third of my tibia or shin bone. I put it right on the sore spot and wrapped an ace wrap around my leg to hold it in place. Within about a minute it became uncomfortable. By two minutes I felt a burning sensation on my leg. It was really painful. But, being strong as an ox and half as smart I decided I could take it. Within about five minutes it no longer hurt. I left the icepack on for 15 minutes. When I unwrapped the ace wrap and took the blue ice pack off, I was horrified to see the skin underneath the blue ice pack was white and hard as rock. I actually froze the skin. This was a case of self-inflicted frostbite. So the next morning when I got ready to run the marathon I actually had frostbite blisters on the front of my shin. Running with frost bite blisters is not the best way to pursue a PR. So do not under any circumstances use one of those chemical ice packs when attempting to ice your shin splints. Ice is much safer. The best way to apply ice to the skin is to use an old, thin, terrycloth washcloth. Soak it in cold water, ring out the excess moisture and then wrap the washcloth around a fistful of crushed ice. Ice water soaking through a terrycloth washcloth is the best way to apply ice. Submerging your foot completely in ice water is even more effective. But it is inconvenient. If you have medial tibial stress syndrome you have to get the central one third of your leg submerged. That’s two thirds of the way up to the knee. If you have anterior shin splints you have to submerge her leg almost all the way up to the knee to completely cover the tibialis anterior muscle. You can’t submerge shin splints in a bucket ice water. It’s just not deep enough. But there is a way to do it. As an experiment, I purchased a pair of size 15, knee-high rubber boots. We’re talking about the kind of rubber boots you see fisherman wearing or the guys who work in fish markets or shuck oysters. You have to get them big enough to accommodate not only your foot but also the ice water mixture. I took the rubber boots out onto the patio. I dumped a tray of ice cubes into the rubber boots and then filled them about halfway with tap water. As soon as I stepped into the boots I was knee-deep in ice water. This is an extremely uncomfortable, albeit very effective way to apply ice when you have shin splints. If you have a tibial stress fracture, submerging the leg in ice water is a much more effective way of reducing the inflammation in the bone. Applying ice to the surface of the skin just doesn’t penetrate all the way to the bone. Another way to reduce inflammation is to take non-steroidal anti-inflammatory drugs (NSAID’s) like ibuprofen (Motrin) or naproxen (Aleve). For some reason, most runners who develop a condition involving chronic inflammation seem to want to take a drug that will reduce inflammation. 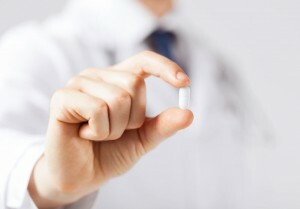 As the name implies, non-steroidal anti-inflammatory drugs should be the perfect pill. Ibuprofen and naproxen are the most commonly consumed non-steroidal anti-inflammatory drugs. In fact, I remember recently reading an article claiming ibuprofen was the most commonly consumed over-the-counter medication, period. Just because people take NSAID’s all the time doesn’t mean it’s a good idea. I would caution you against taking non-steroidal anti-inflammatory drugs when you have shin splints. Non-steroidal anti-inflammatory drugs can slow down healing. Studies have shown non-steroidal anti-inflammatory drugs can dramatically slow healing of ligament or tendon to bone interfaces, where tendons and ligaments attach to the bones. 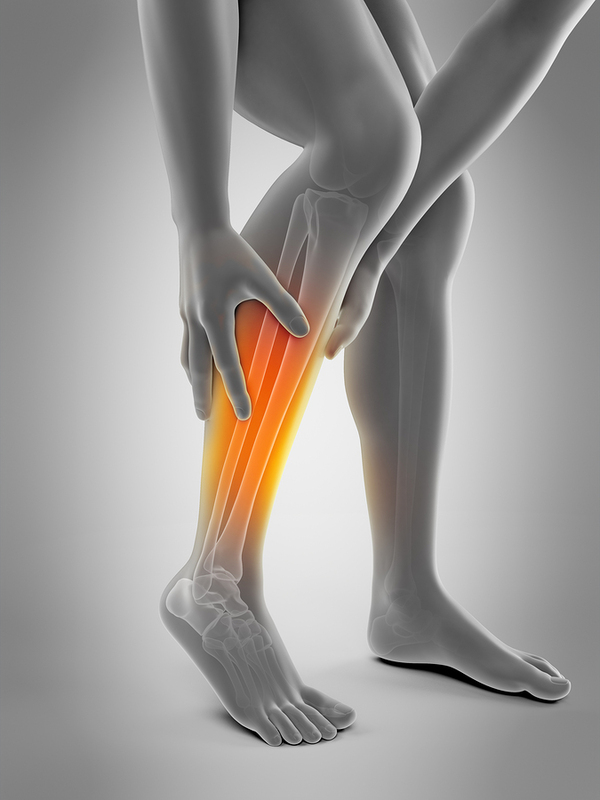 If you have medial tibial stress syndrome and you have any damage or injury to the soft tissue structures which attached to the tibia bone, like the tibialis posterior muscle or the soleus muscle, it may take longer to heal. If you have a tibial stress fracture and you take non-steroidal anti-inflammatories you may have enough pain reduction that you can continue training. And you may train yourself right into some very serious trouble. The most effective way to reduce inflammation is to take corticosteroid drugs like prednisone. However taking prednisone is a horrible idea if you have any of these conditions. Corticosteroids like prednisone can reduce inflammation but they can also cause weakness in structures made of collagen. If you have a tibial stress fracture, collagen is one of the primary stabilizers and components of the initial healing of the stress fracture itself. Taking corticosteroids will halt the healing process. If you have damage to the soft tissue, such as when you have medial tibial stress syndrome, your problem could become considerably worse if you take prednisone. And we’re not even going to talk about all the risk to your endocrine system or your Achilles tendon when you are a runner taking prednisone. So let’s just say it’s a terrible idea. Don’t do it. With all of these conditions you’ll start to feel better quickly once you reduce the inflammation. If you really want a problem to resolve, if you really want your shin splints to go away permanently, you need to figure out what is causing the stress that led to the problem in the first place…and stop doing it. I can tell you from personal experience this step is the most important one. I started running when I was a kid. I ran 5K’s and 10K’s pretty much every Saturday morning I could get my dad to drive me to one. If it was within driving distance I wanted to run it. And I had shin splints. I lived and ran in a hilly area. I also had no real coaching whatsoever. I had shin splints then. I had shin splints when I ran cross country in high school. And I also had shin splints when I ran as an adult. Pretty much anytime I would do hill repeats, run any significantly hilly courses or add lots of running stairs, I would get shin splints. This went on for decades. In the 1970’s there was a television show called “That’s Incredible!” I can still clearly remember this one episode where they highlighted a new “space-aged material” called Sorbothane. Sorbothane was a kind of rubber developed to absorb shock. The episode highlighted several runners who had really bad shin splints. I still remember watching the video clip of a runner in ultra-slow-motion with the pounding vibrations being sent through the legs, before and after running on Sorbothane. At that point I had shin splints for so long my dad actually drove me to Atlanta, which was the only place he was able to find the new Sorbothane inserts. They didn’t help. Then the Nike Air Pegasus running shoe came out. It was also supposed to be some sort of breakthrough in shock absorption. My dad bought me a pair. They didn’t help. I ran for another 20 years or so with splints off and on. Then, when Newton running shoes came out I was asked to write a review for the Newton Gravity Trainer. Newton running shoes force you to develop a fore-foot or mid-foot strike. I followed the specific recommendations that came with the running shoes. Then I only used the Newton running shoes when doing mile repeats on the track. All I would do during my mile repeat sessions was attempt to stay on pace, land on my fore-foot or mid-foot, maintain a relatively upright posture and lean forward slightly at the ankles. And my shin splint when away. Interestingly, not only did my shin splints go away, but my very next marathon was about 20 minutes faster than my previous personal best. So clearly for me, developing more of a mid-foot striking pattern when I run has been less stressful, cured my shin splints, and made me significantly faster. In my case, landing as a heel striker when I ran was the primary cause of my shin splints. But just because heel striking was the cause of my shin splints, obviously it may not be the same for you. Every runner is different. Every running injury has a unique set of causes. It is crucial you determine the exact cause of your shin splints if you really want to get better. Once you know the real problem, you can get on the path to getting better. If you developed anterior shin splints simply from doing too many hill repeats or running on hills all the time, just back off and run on flat ground for a while. That doesn’t mean you have to quit running hills altogether. But it’s important to get the shin splints under control first. Get the pain to go away and then rebuild the strength of your tibialis anterior muscle by adding gradual doses of hills. If you have medial tibial stress syndrome, you definitely need to evaluate your running shoes and your running form. Go to your local running shoe store and see if you can get a run form analysis and recommendations on the most appropriate running shoes for you, with your particular running form. You can also get help from an expert online. You can get an online running form analysis. Just shoot some video of your running form from several different angles. Get an expert to do an online consultation and running form analysis based on your video. But back to that original question about what to do if you get shin splints that simply won’t get better. Should you get an x-ray or an MRI when you have splints? An x-ray will show you a fracture. But only a significant fracture. If you are running down the finish shoot and your leg breaks in half it will certainly show up on an x-ray. If you have anterior shin splints, medial tibial stress syndrome, or even an early case of a tibial stress fracture, nothing interesting is going to show up on the x-ray. An MRI can be extremely useful in making the correct diagnosis with shin splints. Let’s say you are worried you might have a tibial stress fracture. If you live in California, Texas or anywhere overseas I can order the x-rays or MRI for you. I can then review your x-rays or MRI. We could just discuss the images over the phone during a remote consultation or a Skype consultation. I do these sort of Virtual Doctor Visits all the time. Not only is a telemedicine consultation more convenient, faster and easier, it’s often a whole lot cheaper than going to a normal doctor’s office. MRI is extremely effective at differentiating inflammation, and hence trouble, between bone and soft tissue. If you get an MRI and you have a tibial stress fracture, you will see a great deal of inflammation within the tibia bone itself. But don’t expect to see a crack in the bone. Most cases of tibial stress fractures just have what doctors call a “signal change” or evidence of inflammation within the bone. There’s usually no crack visible on the MRI. The inside of the tibia bone is mostly bone marrow, which is mostly fat. Fat is mostly oil. When you get inflammation inside the bone, most of that “inflammation” is inflammatory fluid, which is mostly water. So it changes the color inside the bone relative to the other bones. That change on the image is suggestive of a tibial stress fracture. If you have medial tibial stress syndrome you will have inflammation (or an MRI “signal change”) in the soft tissue where are the tibialis posterior muscle, soleus muscle and other soft tissue structures attach to the back of the tibia bone. If you have anterior shin splints you’ll just have inflammation within the tibialis anterior muscle belly itself. The location of the inflammation tells you where the trouble is. Although most doctors will just recommend a period of rest when you have shin splints (particularly if they’re not really sure which form of shin splints you have) I am against the rest-and-hope-it gets-better approach. Instead of parking you on the couch, I would rather you get an MRI to help differentiate the true cause of your shin splints so we can figure out what it will take to get you better as quickly as possible. And of course we don’t want to watch you lose all of your running specific fitness. An MRI can help. Without getting into the physiology of it, all you really have to understand is that the pain is in the same area as medial tibial stress syndrome. However with exertional compartment syndrome you’re actually getting an increase in the pressure within that anatomic compartment when you run, and it causes tissue damage. The short story goes like this. The arteries, which are thick and muscular and stiff pump the blood into your leg. The veins, which are thin and flexible drain the blood. The arteries don’t compress or get pinched off because they are thick and muscular. You can think of the arteries as being structurally similar to a garden hose. But the veins are different. The veins are thin and easily flattened out. If the pressure goes up in an anatomic compartment, the pressure within that compartment can actually flatten out the vein, pinch it off and stop the blood flow out of your leg. Because the veins actually drain the blood, if you pinch off the blood flow through the veins, blood is going into the leg, but it isn’t getting out. The blood keeps getting pumped into the leg through the arteries and the pressure skyrockets because you get more and more blood crammed into that anatomic compartment. When the pressure gets too high within any anatomic compartment the tissue within that compartment can start to die because it gets starved for oxygen. We call that compartment syndrome. Exertional compartment syndrome is the circumstance in which you run and increase the blood flow through a compartment to the point at which you get pooling a blood within the compartment with ever increasing pressures that can damage the tissue. If you don’t hear anything else from this episode you need to understand that exertional compartment syndrome is extremely rare! One time I was at a medical conference and I heard an orthopedic surgeon, who frankly seemed like a braggart. He boasted that he saw more than 250 patients per week. He also had a very full surgical schedule. All of that of course means he spends very little time with every single patient in clinic. When asked about exertional compartment syndrome he claimed that exertional compartment syndrome was relatively common. He also had a very simple routine. He claimed that if a runner had shin splints and wasn’t getting better, he suspected they probably had exertional compartment syndrome. And of course, they might benefit from an expensive operation. So, if he suspected a runner had exertional compartment syndrome, he would simply have them come to his office with their running shoes and running shorts. He would examine the patient and then have them run up and down the flights of stairs in his office building. As soon as the runner came back into the treatment room, out of breath and covered in sweat, he would stick a needle into the deep posterior compartment of the leg. He would measure the inter-compartmental pressure. If the pressure was high, he diagnosed him with exertional compartment syndrome. If the pressure seemed high, he would then schedule the runner for a fasciotomy. The fasciotomy is a surgical procedure where we cut the leg open, cut the fascia that separates the compartments and then just sew up the skin. But we don’t repair the fascia layer. Bu leaving that layer cut open, it makes it impossible for the pressure to increase in that compartment. If you are a runner and you have a fasciotomy you may feel weaker forever when you run. You will also probably have a big ugly scar on the front your leg. A word of caution with Exertional Compartment Syndrome: beware the diagnosis! Always get a second opinion before you allow someone to operate on you if you are a runner who has been diagnosed with exertional compartment syndrome. And if you have any form of shin splints and you cannot seem to get better, you should get a second opinion from someone who specializes in running injuries. No matter what the problem there is always a solution. You just have to make sure you find the right solution for you.